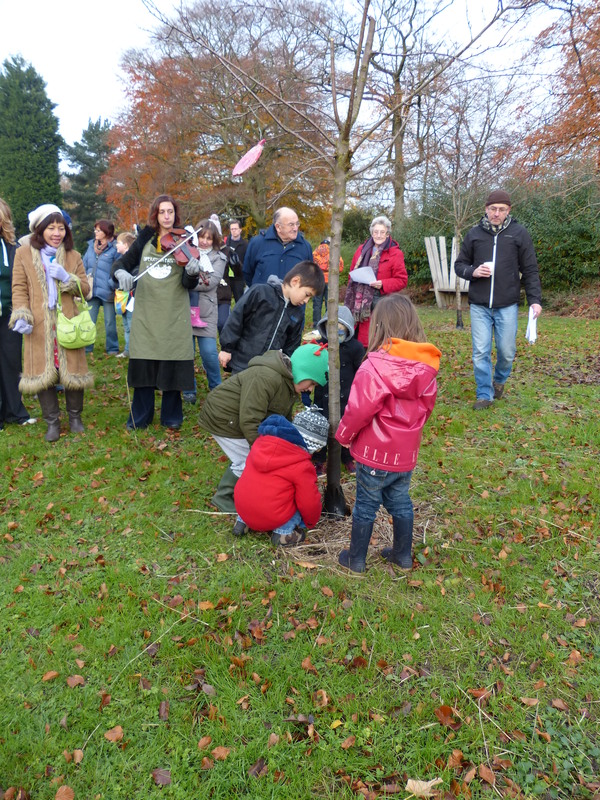 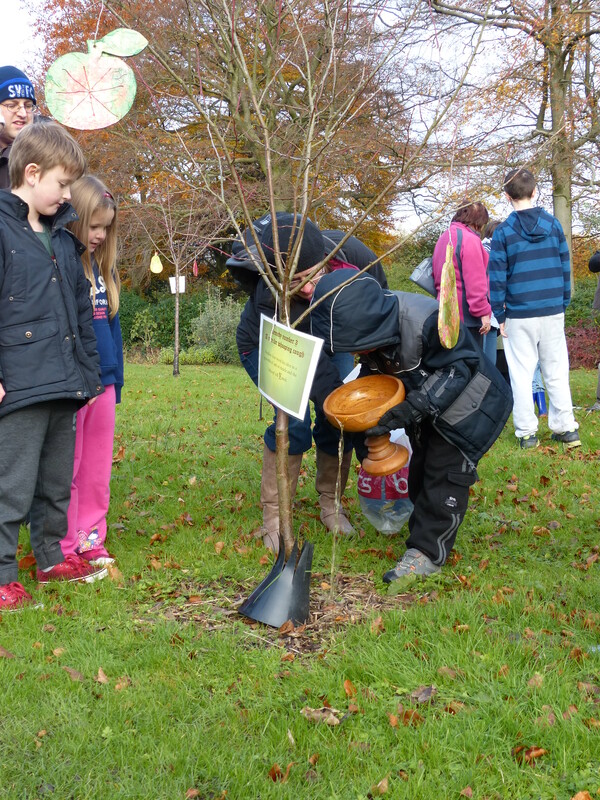 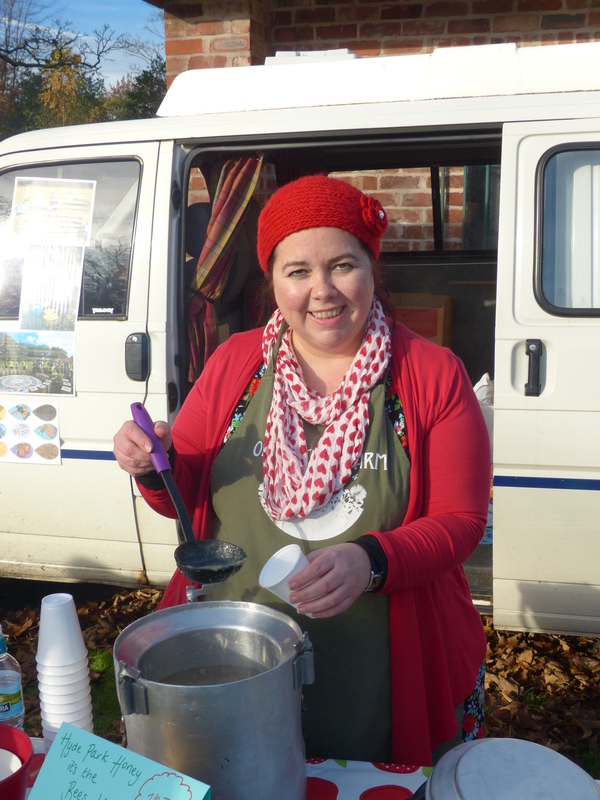 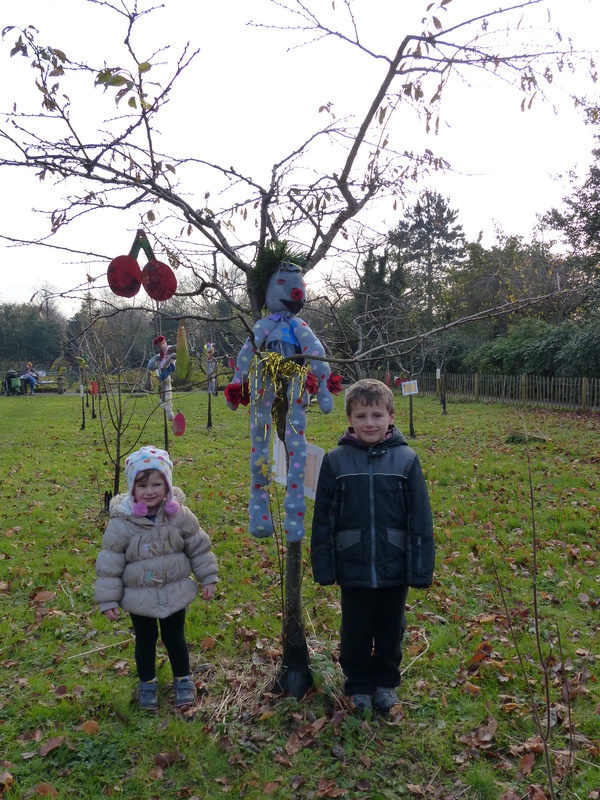 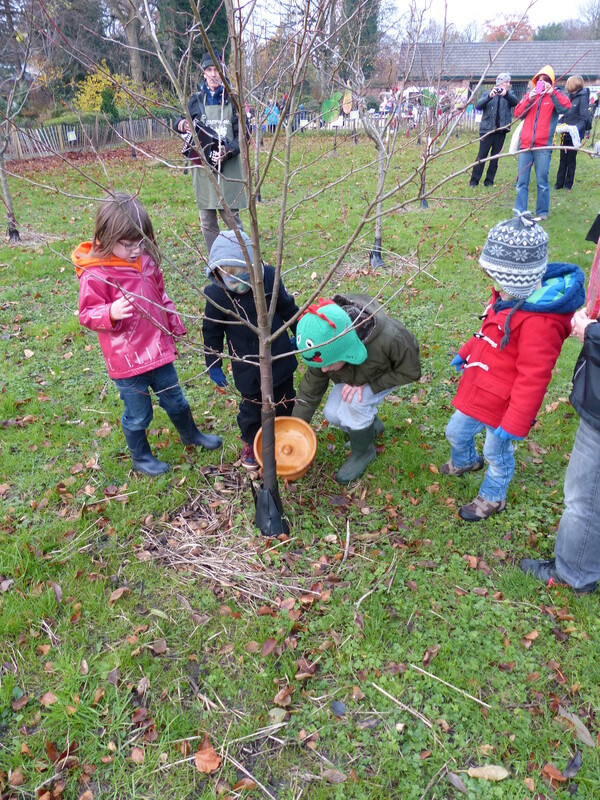 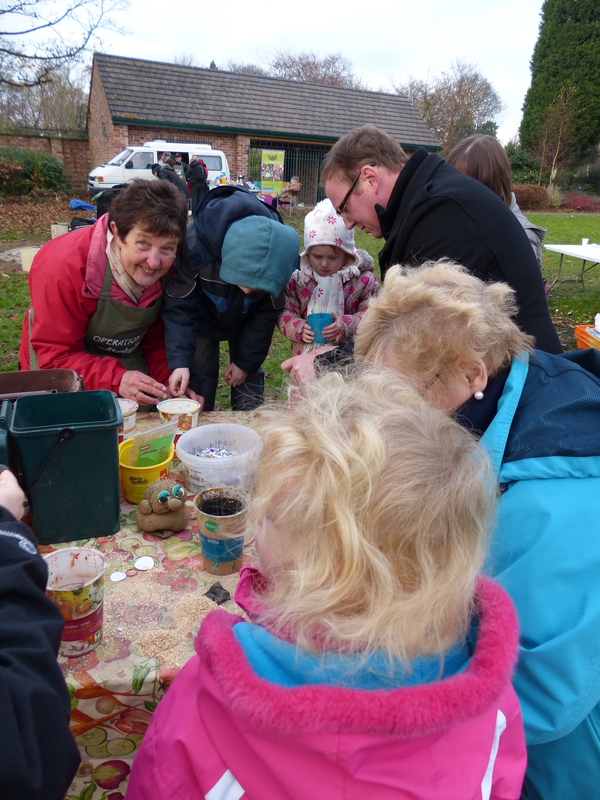 Around 200 people braved the cold and came to the community orchard in Hyde Park to take part in Operation Farm’s Funky, Fruity Family Fun Day on Nov 23rd. 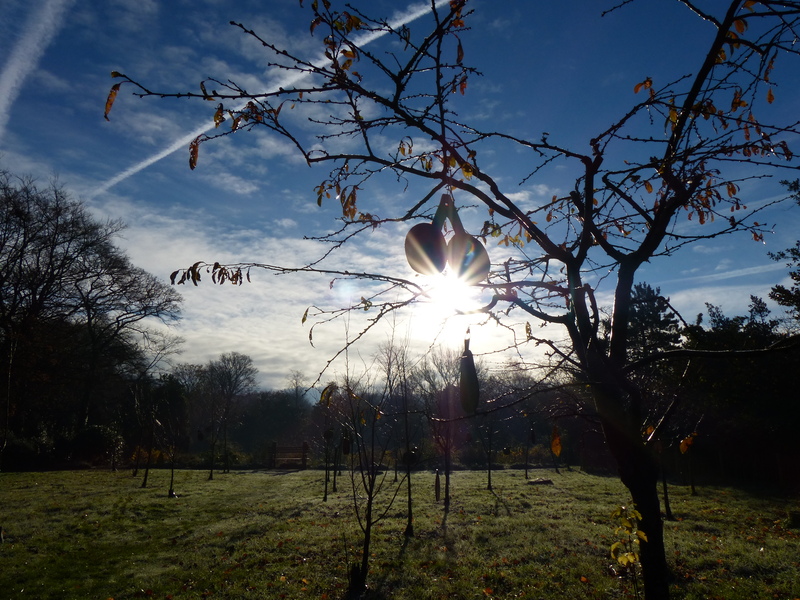 After a very frosty start the sun struggled out and there was even a sighting of blue sky! 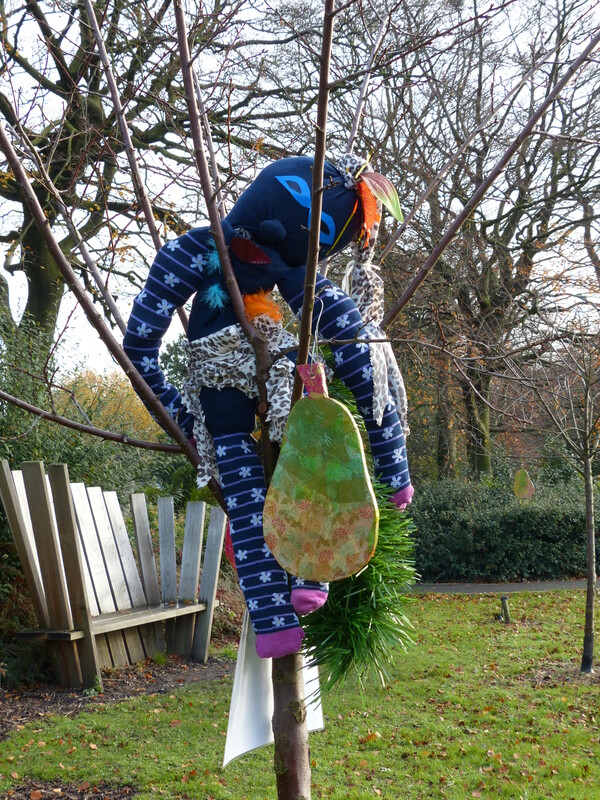 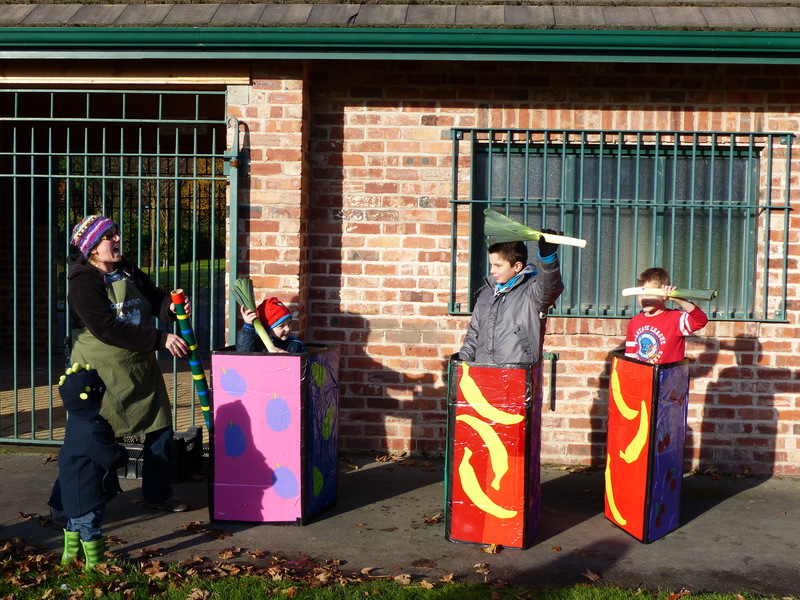 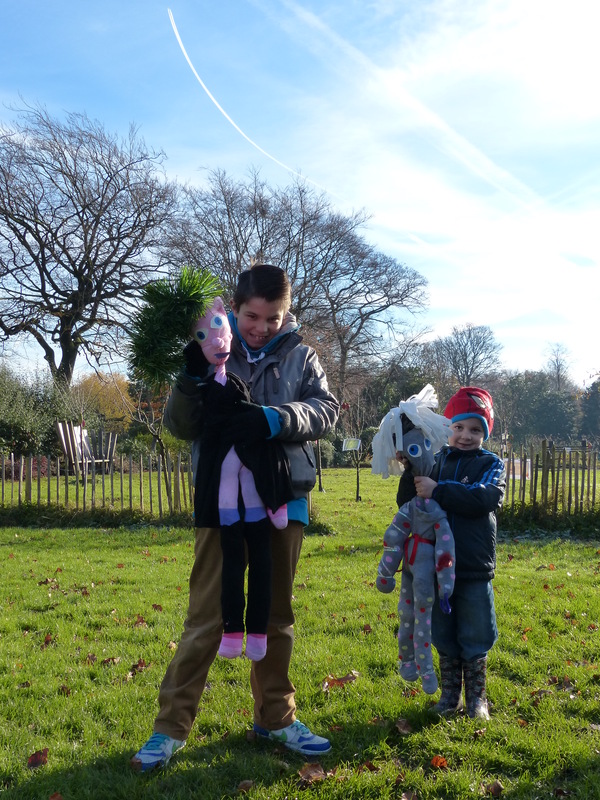 Staff from Green Monster Arts, volunteers and visitors made a small army of trolls and peg dollies as well as a gang of colourful tree sprites who guarded the fruit trees for the day. 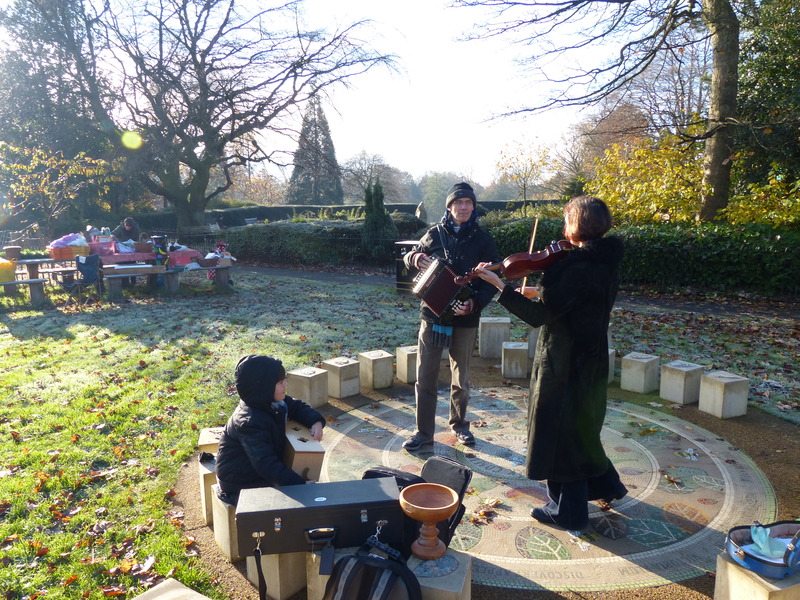 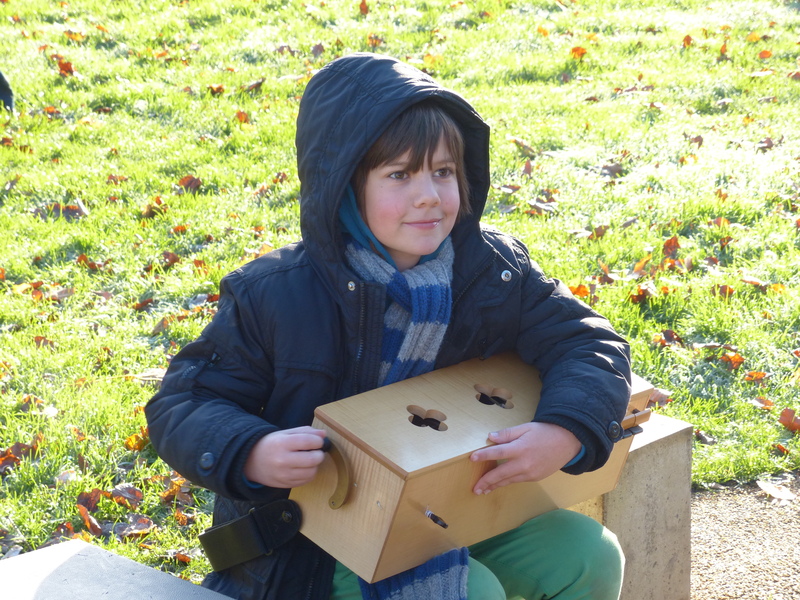 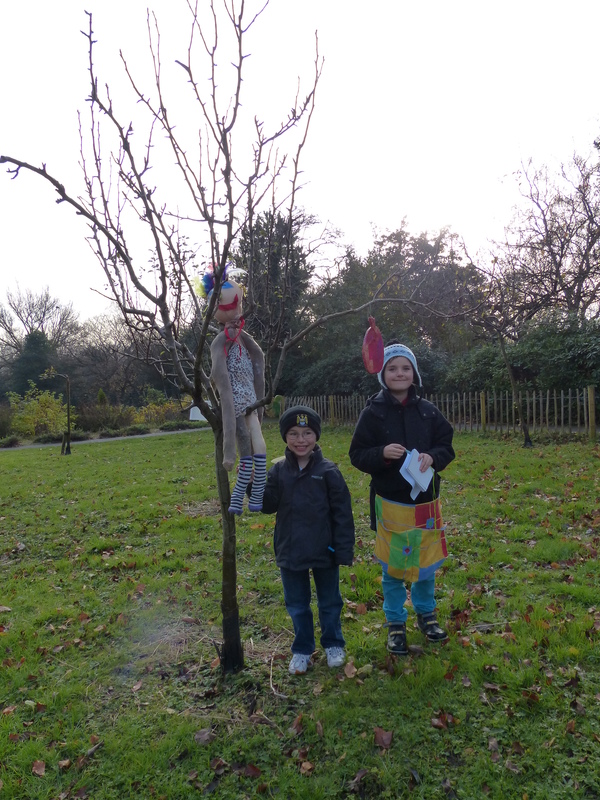 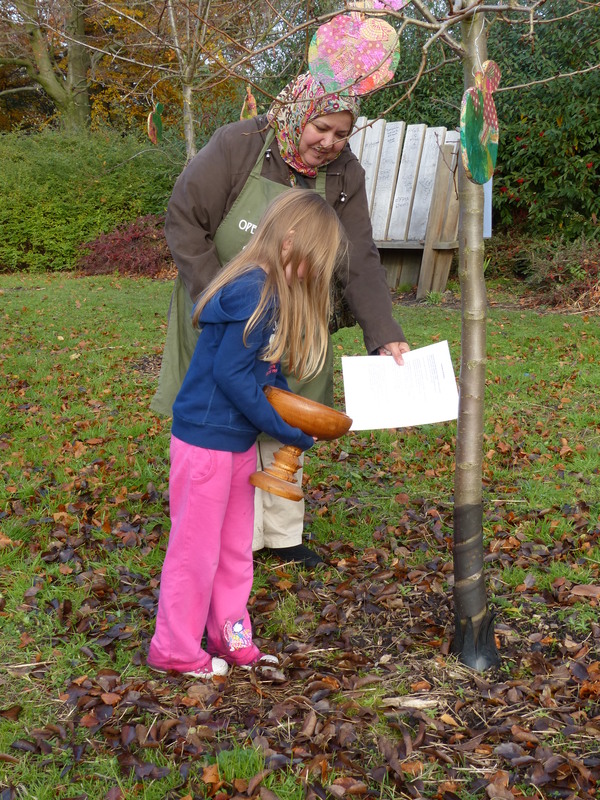 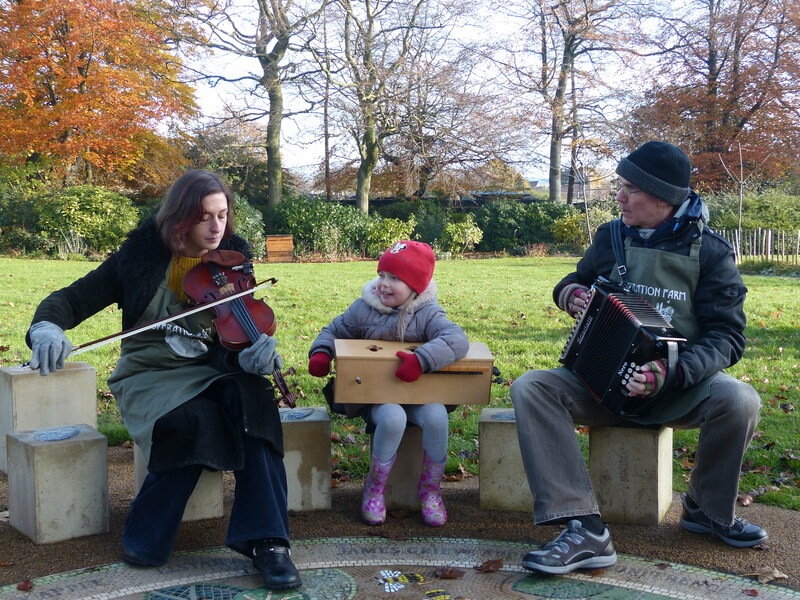 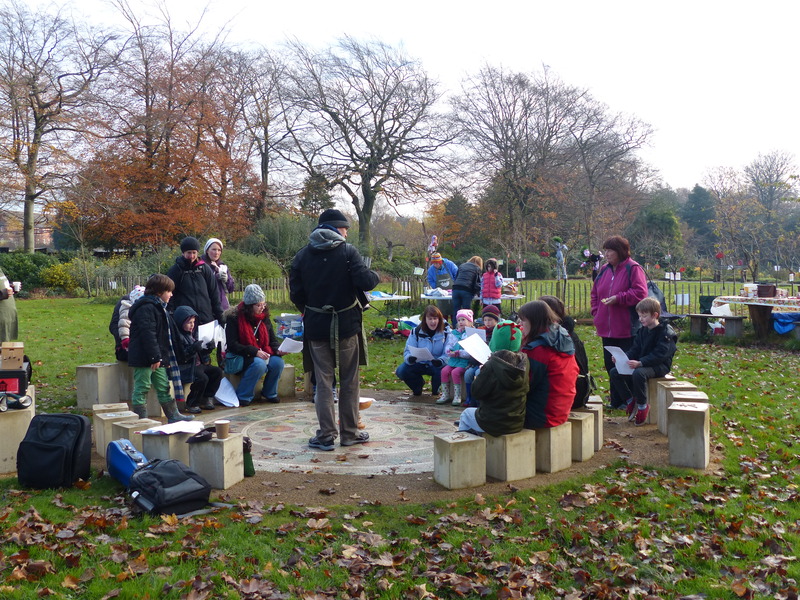 Local musicians Aidan and Lis played wassailing songs and everyone joined in to thank the trees for their harvest…a libation of apple juice was poured onto the tree roots to ask for a good harvest next year…let’s see if it works! 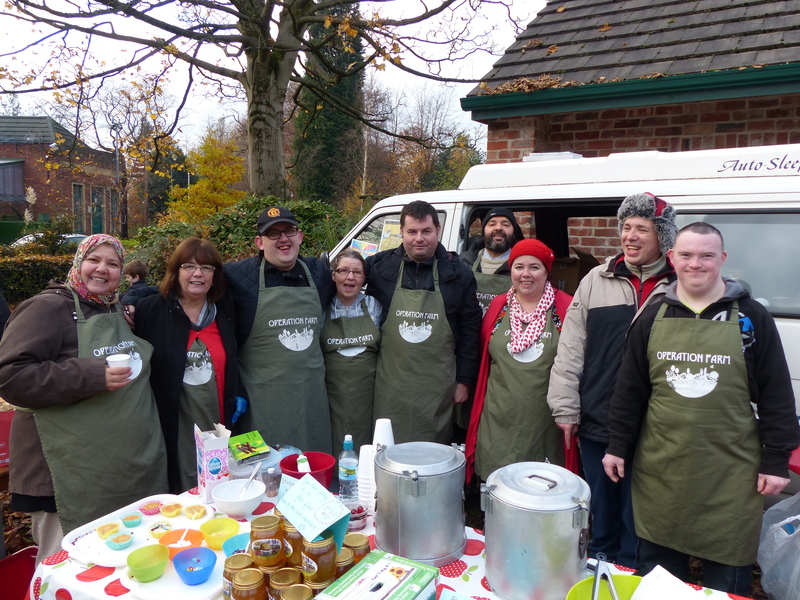 All involved were warmed up with delicious home-made seasonal soups and apple buns from Bees Knees… organic leeks, potatoes, carrots, onions and celeriac, all grown in the UK, were used. 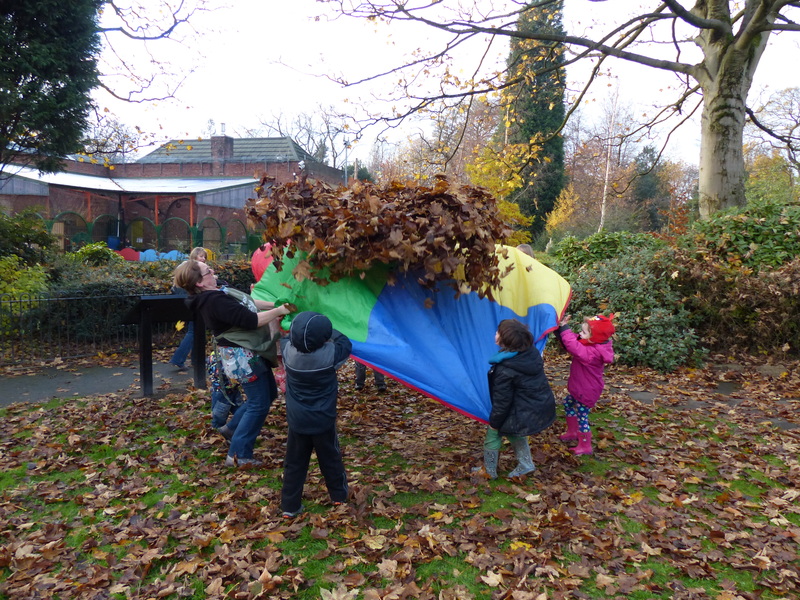 An abundance of fallen leaves provided fun for all with leaf fights being a very popular activity! 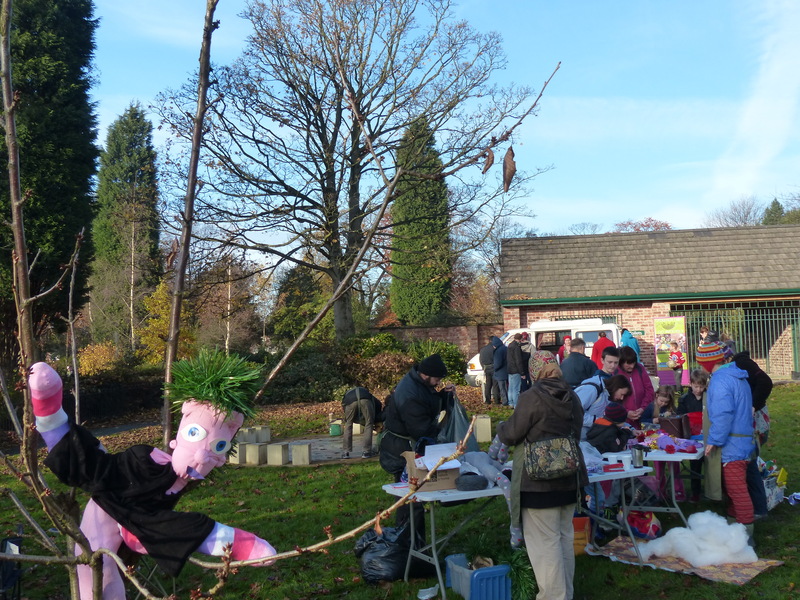 All in all the day was a huge success, thanks to all involved, Community Spaces ‘Celebrate Your Space’ programme for funding and also Topaz cafe for their great support on the day. 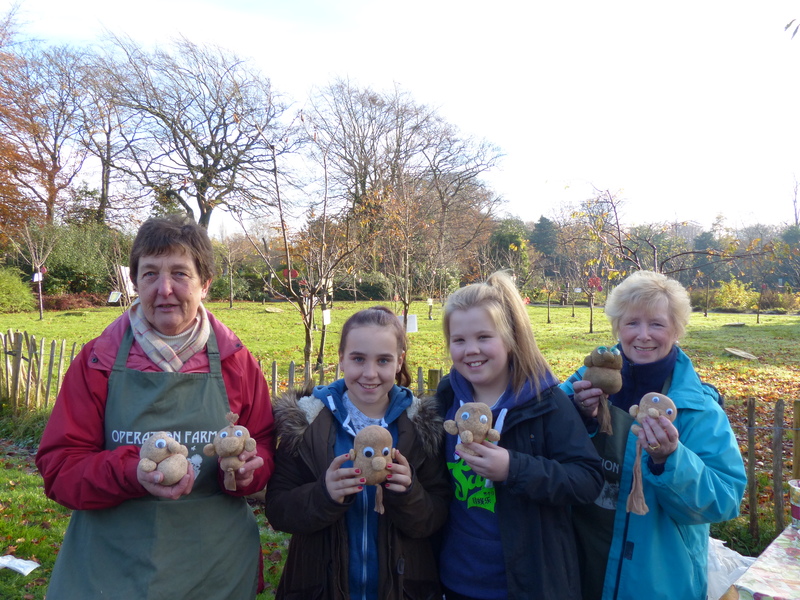 Joan, a regular volunteer for Operation Farm and now a troll making expert said, “It was a wonderful day I think everyone enjoyed it. 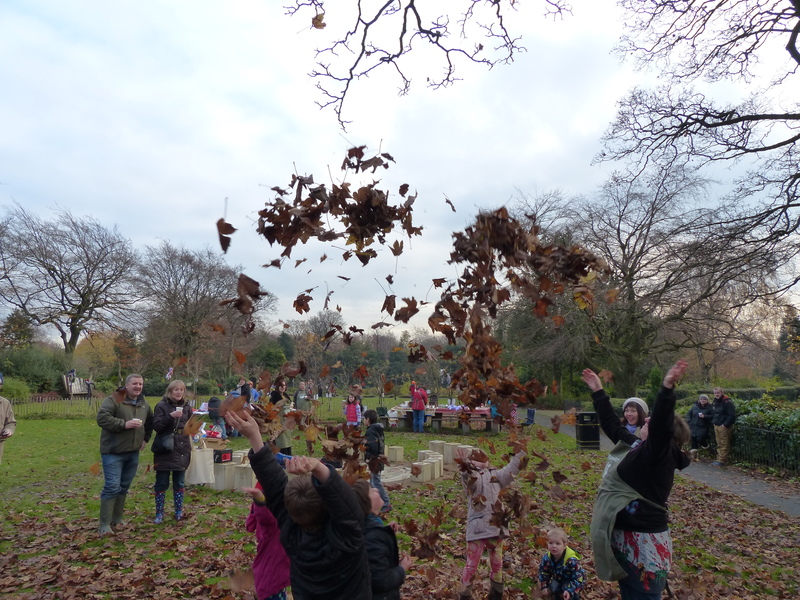 But I think the beautiful and happy faces of the children made it. 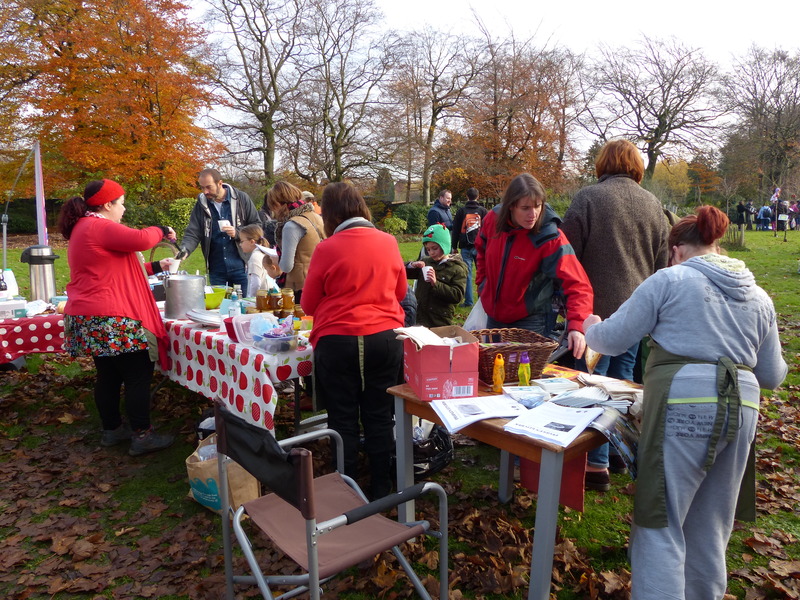 They love the troll making and the folk song also great food and much more…a lot of hard work went into the day. 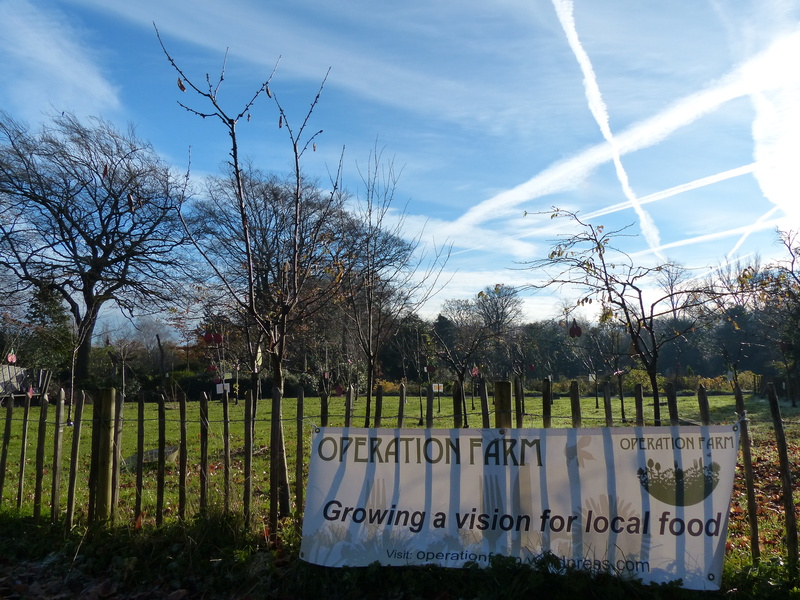 So thank you all.